The aftermarket specialist will be showcasing five new tuning programs at Geneva; stay tuned for the other four. Hamann Motorsport has five exclusive tuning programs debuting at the Geneva Motor Show this week, and first up is this deluxe SUV. 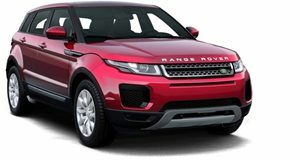 Based on the Range Rover Evoque, modifications have been made to the styling, aerodynamics, performance and interior.A two-part front spoiler and side wing extensions are supplemented by a side sill set that widens the body by 70mm at the front axle and 80mm at the rear, while a central rear panel accommodates the double-pipe stainless-steel muffler. Power increases for the various drive units comes courtesy of a high-performance exhaust system, sports air filter and optimized engine performance graph. The 2.2-liter TD4 and 2.2-liter ED4 are increased by 34hp and 48lb-ft of torque, and the 2.2-liter Si4 is boosted by 42hp and 41lb-ft of torque. A range of wheel designs and sizes include a one-piece 22-inch wheel offered as an Anniversary Evo and Anniversary Evo Black line, and a three-part aluminum wheel made up of an anthracite-anodized wheel star with titanium bolting and mirror-finished rim flange. Comprehensive interior upgrades range from personalized floor mats to full-leather upholstery, complemented by handcrafted stitching on the dashboard and seats.